Early polling showed Bernie Sanders beating Donald Trump. In those early polls Hillary Clinton lost to Trump. I don't personally believe polls are accurate in general, but many do. What that means for believers, is that they chose a risky route. They wanted Hillary to win the primaries even though the DNC would have come to power more assuredly if Bernie was it's nominee. In fact those voters were Hillary or bust. They turned down the candidate who was closer to democrats on the issues because they gambled on Hillary changing her popularity. I'm not generalizing or judging motivations, maybe they thought she was a better candidate, maybe they didn't like Bernie, I'm talking about the practical implications. When push came to shove Bernie rallied for Hillary because he realized the Trump danger early on. The DNC on the other hand, wanted to destroy Bernie. It was not because he wasn't aligned with them on issues, but because they had special interests. Maybe they thought Hillary was a better leader, maybe they thought Bernie wasn't capable of delivering, but still, they too gambled on liberal resources rather than weighed out what's more aligned with their platform. One thing I respect about Bernie is that he stuck to the issues. Following her triumph over Bernie, Hillary shifted her focus to one thing, how she isn't Trump. Hillary was silent on most issues, she did not want to gamble her connections with big businesses once in the white house so that her words won't be used against her. In effect, she wasn't able to win over a bigger base. People did their part and she won the popular vote, mostly out of fear of Trump. However, the question that that needs to be asked is: what did she do to try and win over those who wanted a better economy for themselves and who know for certain that the status quo wasn't good enough? Did she promise a better economy for them like Trump's empty promises? Not so much, and it's because Hillary knows the value of words and chose hers wisely. That is something we can respect Hillary for, she tried not to lie about her positions on issues so that they do not haunt her while in office, but that came at a cost. 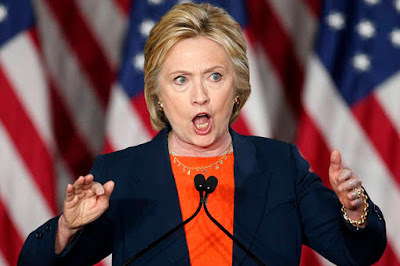 In effect, Hillary became silent about most issues that weren't instigated by Trump, she never called him out, she just responded to his silly ludicrous claims. She missed most opportunities outside the 'glad I'm not Trump' zone, and failed to comment meaningfully on something as obvious as the Dakota pipeline. Hillary sat on the fence and hoped that Trump's stupidity would be enough. It wasn't. Mocking Trump and avoiding the issues gave his poor supporters no alternative but to challenge the status quo. The politics of fear were employed and even though fear of Trump did not deter voters, the politics of fear won. The real fear here for the working class was the continuation of the status quo. Hillary Clinton did not alleviate any of that fear. Those who support Hillary are probably happy with the status quo to a great extent. There is currently a president from a discriminated group. I do not deny that a woman president would be progress, but to those whose lives will not be bettered it's cosmetic. Obama bailed out banks, lead drone wars, came after whistle blowers and under his presidency big businesses thrived and continued to make colossal profits. This simply isn't good enough for most. I'm certain there are many who chose Trump for his racism, but what about winning over those who just wanted a shift in the status quo? What has been offered to them beyond cosmetic check boxes of progress? There is something wrong with a country that would vote for a vile character like Trump simply because they are unhappy with the status quo. While people should be accountable for their bigotry, there are many reasons why they ended up that way. Media was sensationalist, catering to their base, on both sides. The liberal media focused on Trump and his crazy supporters. It may have been better to identify what is really wrong with the country rather than what is wrong with Trump and his supporters. Ahmed Kamal, a medical student, was arrested by police and delivered to his family the following day via the mortuary. Ahmed had been sentenced to two years in absentia and only recently arrested and killed by Egyptian police, possibly tortured to death. Sometime in the past this may have been breaking news, causing outrage in Egyptian society, and perhaps even internationally. But in today’s Egypt, this is a repeated story, predictable in every way. The state will cover up for its security apparatus, and as its ridiculous story is exposed, details may shift slightly until the whole ordeal is forgotten. If Giulio Regeni’s murder did not bring about any accountability for the Egyptian regime or its security bodies, it is highly unlikely that Ahmed Kamal’s murder will result in any better. Security bodies will deny wrongdoing; forensics may end up fabricating a report like they did in the case of Khaled Said. Regime apologists at best will ask people to wait for meaningless investigations by the state. Even if the forensics report doesn’t appease state institutions and the evidence is found to be compelling, then arrests may be made, but only to silence public pressure. These arrests will not result in a condemning verdict, and if they do it will be repealed quickly. The murder of Ahmed Kamal and the story that follows is not an isolated incident; it reflects the workings of a brutal regime whose institutions are complicit in crimes against Egyptians and works in perfect harmony to provide impunity to its members. This state of complicity and criminality is hard to digest even when witnessing it. Yet time and time again the regime has consistently proven that this systemic injustice is its modus operandi. Police brutality is the government’s chosen means of looking out for its interests and enforcing policy. While political protests bore the brunt of re-establishing these means, the same will be applied to enforce harsh economic policies advocated for by Egypt’s ‘allies’. An implicit agreement between the Egyptian government and the people was negotiated over the past six years, following the murder of Khaled Said whereby police brutality and government impunity became more or less accepted. Yet, even with the carte blanche provided by the regime’s supporters to use excessive violence, dire economic conditions may breech that agreement. Egyptians are angered by their struggle with the prices of basic goods, medicine, and cost of living. Despite this anger, the people do not have the power, or perhaps the will, to attempt to change the regime or depose President Abdel Fattah Al-Sisi. Any such attempt may start a new wave of harsher economic conditions that the people are not ready to handle. The people have willfully given up their right to protest this regime. Many feel compelled to live with the consequences having deprived themselves of influence. But can we call the inability to remove Al-Sisi or influence his regime’s policies ‘stability’? Egypt needs reforms in order to address its ailing economy, but these reforms need to be political rather than strictly by the numbers. It’s disingenuous and far removed from reality to claim that a loan from the International Monetary Fund (IMF) is an answer to Egypt’s ailing economy. The incessant advocacy to impose IMF conditions, such as the value-added tax or lifting of subsidies, is far too reminiscent of the 1977 bread riots. Likewise, back then, subsidies were lifted causing a large wave of protests that left 79 dead and 566 injured. These austerity measures were taken without regard for the political backlash or the context which made these measures back-breaking to the average Egyptian. Besides, the government is underperforming in most sectors, exhibiting even more incompetence than under Hosni Mubarak. No matter what the plan is, it is unlikely it can be executed efficiently, with the farfetched assumption these are the reforms Egypt needs. What hope is there for a country whose economy is systemically worsened by pouring state money into a military economy that neither pays taxes nor contributes back to the state budget? How can any tax reforms be sustainable while the military continues to take money out of the economic cycle? What mechanisms or possible oversight could there be for a regime that has ignored its own laws as well as international treaties to further its own political and economic agenda? Can any loan or condition stop the military from manipulating the market and muscling out competition to push forward its own products and services? What is there to address policies that favour the army’s air conditioning units, bottled water, and food products that cripple civilian competition? Can any condition be imposed to change the contracts that are being delivered directly to the army and revenue not being pumped back into the economy through taxes and parliamentary oversight? For many in the Egyptian government, corruption is a way of life they’re not willing to give up. Economists advocating loan conditions fail to address these pressing issues that are key to Egypt’s structural economic problems. The present debate sidesteps some of the most important factors that are negatively influencing the economy. Some of these factors include political repression, lack of judiciary reforms, the police state, and military economic interests driving policy. Ahmed Kamal is a recurring story, symptomatic of a security state that has turned criminal, motivated by narrow economic interests that favour an economic elite over the Egyptian populace. Ahmed won’t show up in the numbers punched up by experts, nor will the nonsensical story provided by the government be questioned. The present regime has alienated numerous factions of society: doctors, lawyers, journalists, students, youth, businessmen, and even some civil servants. Meanwhile, Egypt holds its own future hostage. Youth are threatened constantly and barred from decision-making circles. Many are detained in jail, tortured or placed under solitary confinement without fair judicial process, and some, like Ahmed, are killed in police custody. Egypt’s problems will not be solved by applying cosmetic reforms, they will only entrench Egypt deeper down an abyss, like a car stuck in the sand digging itself deeper when the accelerator is pushed hard. Further austerity, which comes hand in hand with state violence and repression, may cause the eruption of an already simmering street. What’s more, even if understated, Egypt cannot move forward as long as stories like Giulio Regeni and Ahmed Kamal and countless others persist. It will take real change and the unchaining of Egypt’s youth—its future—to dig it out of this hole that’s growing deeper by the minute. First published in DNE on 3 Sept 2016. There's little real in politics to talk about which hasn't already been said. It feels as though people take a long time to catch up with what is happening. Each time I start writing, it feels I've said these things before and the repeat causes the sentences to be more robotic, less passionate, seemingly more rehearsed. I read through my old stuff and I realize I gave it my all. Maybe someone out there has read what I tried my best to honestly reveal. Maybe someone out there was inspired to do the same. I'm tired of repetition and it feels I've been on a break from saying things how they are. I'm not sure when I'll return. There's a bit of a trend to try and describe some communities as living in a bubble.The idea has become so deformed that people use the term incorrectly. So if people are interacting on twitter sharing similar views, they call it a bubble, if people have facebook timelines which show only their supporting views they call it a bubble, when revolutionaries are talking about torture and police brutality while most citizens don't, they call it a bubble. I don't think people really understand what a bubble is as opposed to a community. A bubble is mostly defined by an unawareness of those around you, not by your preferences. You can't be in a musical rock bubble if you're aware that others like hip hop or house. The fact that you have a different taste or preference doesn't place you in a bubble. When you have preferences that are not mainstream, it doesn't put you in a bubble. Bubble here is being oblivious to the reality of the world around you rather than relates to the choices you make. One particular example that stands out is the revolutionary bubble, which is complete nonsense. Revolutionaries are perhaps some of the most aware people of the existing contradictions in the country and the different communities and 'bubbles' out there. The fact that they've chosen a set of tastes and principles doesn't put them inside a bubble, particularly that their main concerns are the bitter realities of regime brutality that others want to shield themselves from. The fact that other communities are not so accessible to them so that they can influence them doesn't put them inside a bubble, they just don't have means. Also worrying is how many, even from within these circles, completely discard revolutionaries or activists as citizens. There is a form of elitism shrouded in the appearance of humility there. These activists are citizens too and just because they are trying to change things beyond their local scope doesn't invalidate their citizenship or opinions and most certainly doesn't warrant describing the whole lot of them as living in a bubble. In some sense, revolutionaries are the biggest non government sponsored coalition whose cohesion is based on a set of principles rather than an an institution. 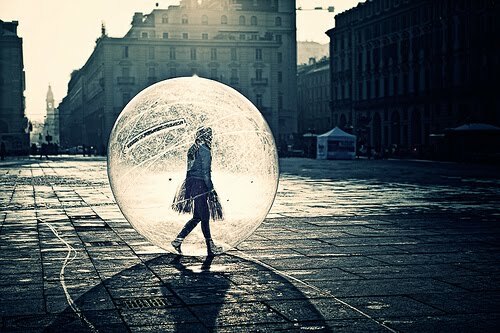 People have used the term bubble to express their escape from the madness, in that sense it's building your own defenses against the surrounding madness, but there's a difference between choosing to isolate yourself and being oblivious to what is around you. The more we kill in absence of rule of law, the more we lose. The more we cheer for these killings, the more we lose. The more we repress in the name of fighting extremists, the more extreme we become. The war on terror feels like a hole growing bigger every time you think you've removed something from it. We may be defeating one brand of terrorists but we're creating more and expanding the pool. Terror can still prevail even if 'terrorists' do not. The regime has its back to the wall. Egypt’s president, reputed for his hyper-nationalism, has made concessions about what is viewed by many as Egyptian land. The transfer of the islands of Tiran and Sanafir, which control the straits of Tiran, has angered many Egyptians, particularly in light of what seems like a covertly negotiated deal. The historical rights to the islands have been in contention for some time, but the idea of unilaterally giving up the islands without consultation or referendum has called the decision into question. Egypt’s decision to deny Israel access to the straits of Tiran was one of the primary motivations for the 1967 war. The decision has sparked protests across the country, despite the tight security grip that has pervaded Al-Sisi’s rule. On 15 April, a large protest, dubbed the Friday of the Land, gathered several thousands who were allowed to protest for a few hours before autonomously dispersing and calling for new protests on 25 April, which marks Sinai Liberation Day. It is important to note that both these protests were marked with a revolutionary fervour that indicated that the dissatisfaction of those willing to protest extended beyond the decision to hand over the islands. Under Al-Sisi, Egypt has experienced dire economic conditions and the largest violations of human rights in its recent history. 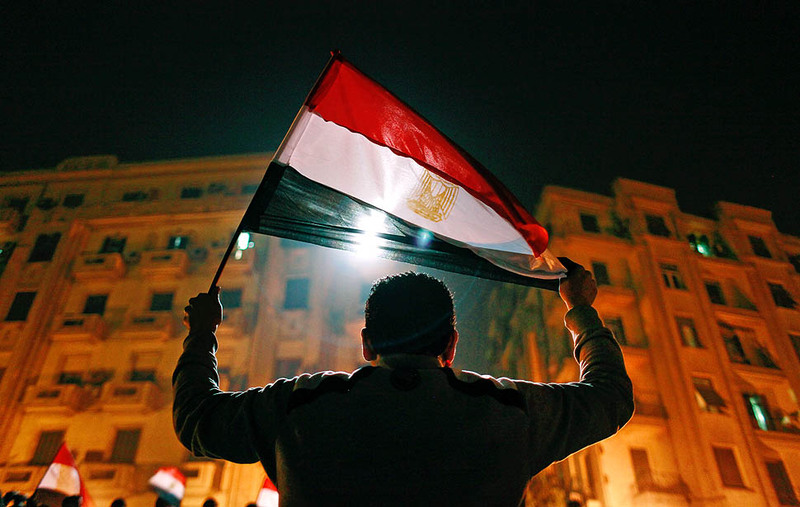 More and more, Egyptians are realising they are dealing with a government that cannot be swayed or petitioned. Parliament, marred by a low turnout, has exhibited signs that it will not do much to oppose the government of its own accord. Mainstream media have become nothing but puppets for security agencies. While the 25 April protests did not manage to congregate freely, nor create the customary marches with chants and slogans to denounce the transfer of the islands and the Al-Sisi regime, the attempts themselves cannot be written off—they offer an insight into what to expect in Egypt’s future. A few observations are in order. Numerous protests were being formed and dispersed across the capital after two of the three previously announced venues had been closed off, namely the Press Syndicate and the Doctors Syndicate. The third location, Behouth metro station, was filled with informants who went through the phones of people they suspected, in an attempt to clamp down on protests before they began. When protests moved to Messaha Square in Dokki and people gathered outside the Al-Karama Party headquarters, the police continued to clamp down on these. Yet, even as police raided the headquarters and arrested several dozens, the young determined protesters did not just go home, but attempted to assemble again and remained within a stone’s throw of the police. As passersby questioned the commotion, officers falsely informed them that they were dealing with a Muslim Brotherhood situation. Many were determined to join the protests, and would have, had they survived the dispersal by the police, informants and conscripts dressed in civilian clothes, transported using Central Security Forces (CSF) trucks. There were many new faces of young people determined to protest despite the dangers and the hundreds arrested on the day and prior. These non-protests were more telling of the spirit of determination present in revolutionary youth, perhaps even more than if the protests were allowed to run their course. People who joined the protests were aware of the dangers of standing up to a regime that never shied away from expressing its lust for brutality. But the islands transfer is not the only trouble Al-Sisi is facing. A Reuters news piece has emerged recently claiming that young Italian PhD candidate Giulio Regini was held in police custody prior to his murder. This contradicts Egypt’s official narrative and, if proven, it would implicate the Al-Sisi regime with a cover up, which adds to the mounting pressure worldwide to understand the truth about Regeni’s murder. The United Kingdom has already been forced into providing a response after a petition to pressure the UK to take steps to ensure a full investigation of Regeni’s death. The response indicates awareness of the implication of Egypt’s security forces as suspects, even if not yet proven. On the home front, there may be dissatisfaction within the ranks with regards to the islands transfer, due to the professed patriotic nature of the army. Al-Sisi was reported to have expressed a wish not to see a repeat of 15 April protests—something which presidency has denied—but the events of 25 April cast major doubts on such a denial. In effect, with the allowing of protests that supported the islands transfer and the raising of the Saudi flag in Tahrir and Talaat Harb squares, yet at the same time quelling any protests against it, the regime’s apparatus, including the police and the army, are being viewed as less nationalistic, which may affect morale. The ailing economy is contributing to the disgruntlement and, to make matters worse, Al-Sisi must make some concessions to Saudi Arabia, which has helped bail out his regime by providing economic aid and energy subsidies. While Al-Sisi was not able to provide Saudi Arabia with the troops they requested for Yemen, the island seemed like an adequate way to make amends, yet that too is not an easy deal to sell on the home front. President Abdel Fattah Al-Sisi has little choice but to continue his existential fight for power. He has already hedged his bets on his brutal police generals, along with some of the most disreputably corrupt officials, to run the government. How could Egypt’s generals deal with mounting dissatisfaction with the economy, the island transfers, and the mounting pressure from abroad to hold Regini’s murderers accountable? The political arena in Egypt is in disarray, with an absence of balance in power merely camouflaged by the security apparatus’ iron grip. Egypt, and in particular its ruling class, must come to terms with that fact that some concessions must be made locally in order to achieve some stability. This would mean rolling back some of the hazardous policies enacted by Al-Sisi when he had free reign. Yet, the question remains, are those in power willing to concede to this reality, or will Egypt continue on its crash course? In a recent speech, Sisi finally confessed that taking down the Russian plane was a breech in Egyptian security and an act perpetrated by extremists. In the same breath he alluded to the murder of Giulio Regeni as a similar act, hence fortifying whatever predisposition loyal Egyptians had that he was killed by Islamists to frame the Egyptian regime. The first murder of a Morsi supporter following the July 3 military takeover was caught on tape outside the Republican Guard headquarters on 5 July when the army shot and killed three pro Morsi protesters. I did not want to believe we had so quickly descended into the same violence and brutality we had fought so vehemently against under Mubarak, SCAF and Mohamed Morsi. That first kill meant a complete return to SCAF days where the military was rampant, vicious and as always, unaccountable. In utter disbelief and in the hopes of averting reality, I rushed to examine the evidence, I saw a few videos showing the shooting, from different angles, along with photos of the poor man's head which had been shot. No sooner had the young man been shot and media circulated social media, conspiracy theories started to appear to salvage the narrative that things have not descended into the same old crimes and impunity. I remember being dragged into these theories in the remote hopes that they would pan out and we would not have to once again confront the military's crimes. Please let it be something else, please let it be something else I thought to myself. Duly like an apologist, I began to examine the pictures, the videos and the testimonies. I looked at theories that postulated that it they were Muslim Brotherhood supporters who shot themselves in order to frame the military. It seems so silly now, but I had to treat it seriously, maybe it would offer salvation. The evidence pointed to a black car in the background passing at the exact same moment he was shot. There were also photos of his head with a small wound entering, and the back of the head blown off, indicating, by those theorists, that he had been shot from the back. I entertained all these ideas and posted them and got into discussions. I may have even ignored Jeremy Bowen's testimony regarding that incident which he witnessed in order to give these conspiracies the benefit of the doubt. While some people responded to me by saying, “How could you?”others were very objective and dispelled all these lunacies. Exit wounds were larger than entry wounds, both angles show that the soldier shot him, there was no evidence that the black car fired any shots and more than that, the military was armed, accustomed to killing and it made no sense for protesters to kill their own instead of military personnel. From that day onwards I toyed around with theories to explore them but was never able to dedicate that much attention or give them credence as much as I did the first time. The rest of the kills were about sometimes entertaining ideas of how justified they could have been, but never buying into it. The Rabaa massacre was the price paid by Egyptians who entertained conspiracy theories and found justifications for the regime as they continued to kill innocent people with impunity. Many are not even aware of how monumental that price is till today and continue to argue there was no other way. Five years into the revolution, a wider base of opposition was created thanks to the uprising in 2011, but that sheer number lead to more brutality against the growing number of dissidents. Crimes against humanity are as widespread as never before, forced disappearances, torture,.. With every escalating brutality comes its own set of conspiracies and justifications. The simple harsh reality of brutal criminal security forces in itself too brutal to handle in the minds of many. 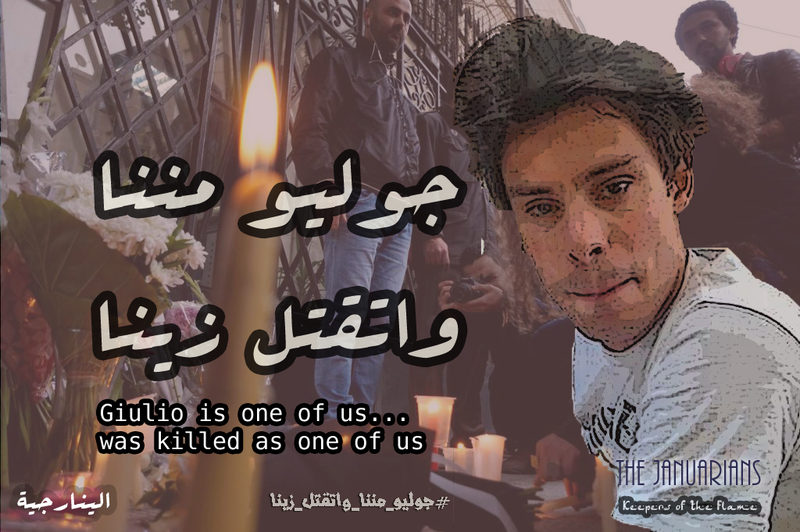 This brings us to the brutal killing of Italian student Giulio Regeni who was kidnapped on January 25 and tortured to death with cigarette burns, stab wounds, broken ribs and signs of electrocution all over his body. The act is seemingly unprecedented, although a Frenchman was killed by the police in September 2013. Yet the disappearance the brutality and the manner with which it happened has only been customary with Egyptians, never with a foreigner. The fact that it is seemingly unprecedented was enough for many who cannot deal with this as an escalation in brutality as another conspiracy theory. It must have been the Islamists that kidnapped young Giulio, tortured him exactly like the Egyptian police and dumped his body to implicate the police, who would, sure, do this to an Egyptian, but never in a hundred years would they do this to a foreigner. That is the rhetoric and the main reasoning, despite the army killing eight Mexican tourists, which they would claim is different because it was an accident. It wasn't the media campaign and pressure from the Italian government that caused authorities to dump the body, no it was a perfectly timed plan by Islamists. To feed into this convenient conspiracy theory, a security affiliated newspaper, Youm 7, purposefully mistranslated security forces to Muslim Brotherhood from an Italian paper that postulated that Regeni could have been killed by a rival security agency to undermine Sisi. In another strange twist, another Italian paper reported on the mistranslated Youm 7 article that claimed it was the Muslim Brotherhood who killed Regeni. To make matters worse, an Italian paper noted that eyewitnesses in the NY Times piece who described how Giulio Regeni was taken by plain clothed policemen were not consistent in terms of timing with what they had found on Giulio Regeni's messages which indicated he was able to text 2 hours after the alleged arrest by authorities. This to them seems like a golden opportunity to discount not just the eyewitnesses but the three security sources cited in the NYT piece indicating that Giulio was in police custody before his death. The most enlightened of them would say that we still do not know what has happened and that investigations are underway, so we should not point fingers, and yet in the same moment, the mere mention of the Muslim Brotherhood in an Italian piece, has caused some on occasion to jump to the conclusion that investigators suspect the Muslim Brotherhood. Having examined the said paragraph it only commented that trade unions were monitored by the regime and garnered the interest of the Muslim Brotherhood who sought to create unrest. That unrest was all too quickly concluded by the apologists to be the murder of Giulio Regeni. There are many benefits and motivations of having Islamists kill Regeni instead of the regime. It would confirm the bias that Islamists are an absolute evil, it would offer hope that while Egyptian police do this to Egyptians, there is still hope they are responsible enough not to do this to foreigners. But in reality, many also understand that the police would never own up if they had done this and the international implications if they did would be huge, and would mean that this is indeed a criminal regime that is far too brutal and ugly to carry the country forward. It is fear of confronting such a reality that drives some to believe that it isn't the police, although I'm very certain many know deep down inside, just like I did when I examined the first murder, that Egyptian security forces the most likely culprits of this heinous crime. It doesn't even matter that the Ministry of Interior sent out instructions in a periodic secret memo, shortly after Giulio's murder, not to take action against foreigners without informing state security and the ministry of interior. Denial is an endless river in Egypt, and it is surprising what you can find if you're looking for it and how easy it is to ignore reality.